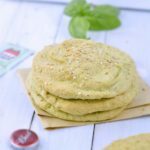 Avocado oopsie bread recipe keto + cheese free low carb bread ! 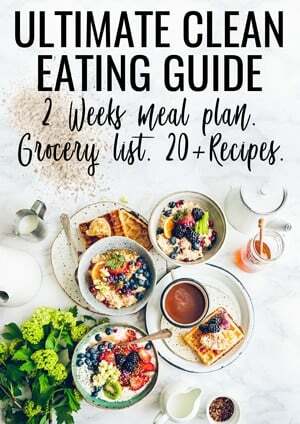 You know how much I love low carb recipes but I also love to eat less dairy. I love cheese but I also like the idea of adding more healthy fat and greens to my diet. That is how I came up with this revisited oopsie bread recipe idea. I swap the regular ricotta cheese by creamy raw avocado. I was not sure it will work well but it end up pretty well. 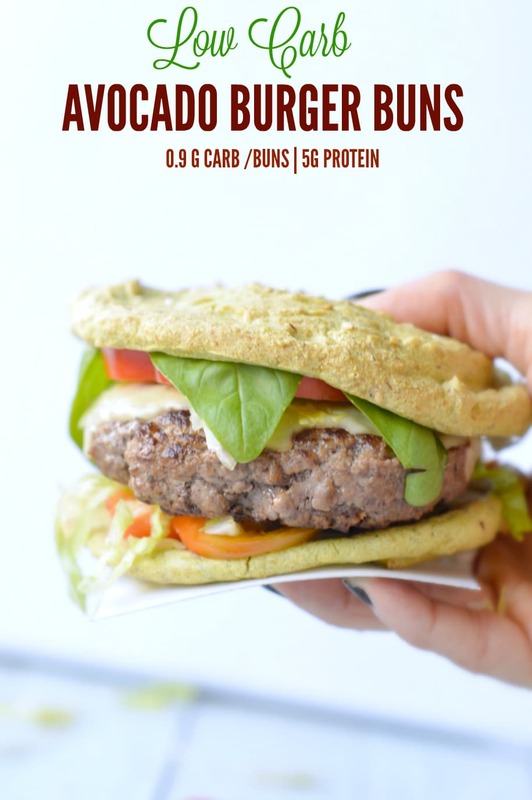 Usually a oopsie bread recipe doesn’t contain almond meal but here I choose to add a tiny bit of it to give more texture to those low carb burger buns. The result is light, fluffy with a lovely pale green color. As you can see on the picture it hold the burger filling pretty well ! I was amazed to see how this avocado burger buns taste great too. 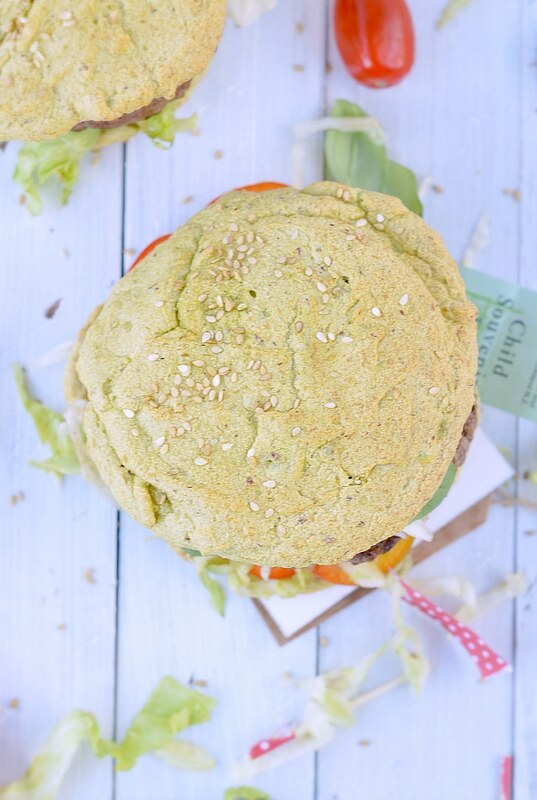 My 3 years old has never been a huge fan of avocado but she loved those low carb burger buns. 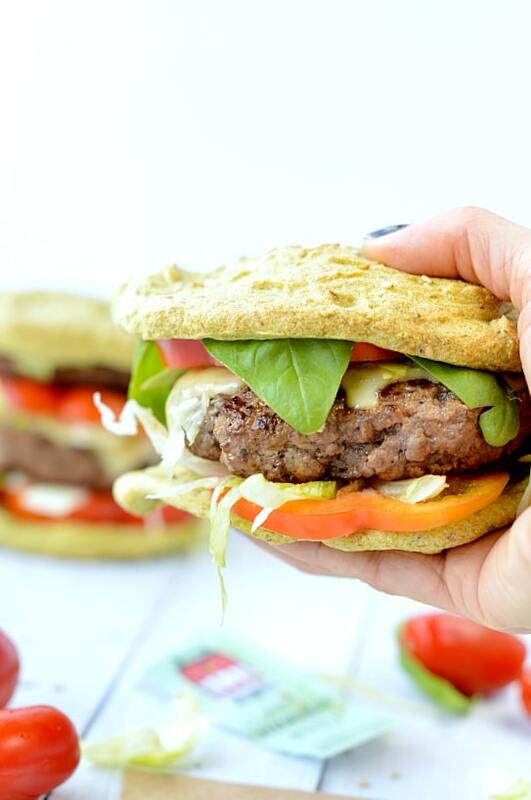 This recipe makes 4 burger buns and each buns contains only 0.9 net carbs for 5 g of protein! It means that this avocado oopsie bread recipe is not only fulfilling but also very low carb while adding some healthy fat from avocado. I recommend to eat them straight away after baking them. Well, I cool down the bread 10 minutes on a rack but don’t wait too long or they loose their fluffy texture. If you plan to make those for a burger party you can easily double the recipe and bake two batch at the same time. It is optional but you can add 1/4 teaspoon of sesame seeds on top of each burger buns or even poppy seeds if preferred. My favorite healthy & low carb burger fillings are beef patties, cheese, capsicum and shredded lettuce. I did not use sauce in my burger but a bit of homemade mayonnaise is great or tahini paste. And you what’s your favorite low carb burger filling ?? 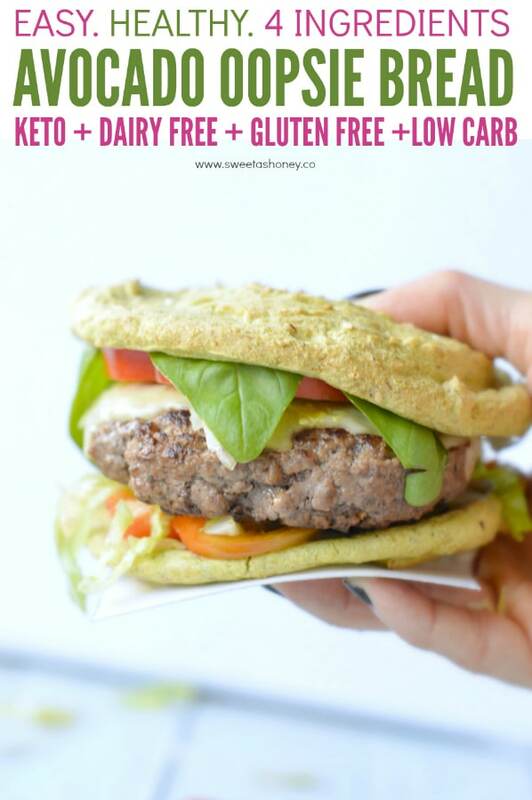 Oopsie bread recipe keto, low carb buns dairy free made of avocado! Easy, gluten free burger buns. Cover a cookie rack with cooking paper. Set aside. In a large mixing bowl, using an electric whisk, whisk the egg white until it forms some bubbles on the sides- about 30 seconds. Add the cream of tartar and keep whisking on high speed until a stiff peak form. Set aside. In a food processor with the S blade attachment place the ripe avocado flesh. Process until smooth and creamy. You may have to stop the food processor every 20 seconds, scrap down the side of the bowl with a spatula and process again. 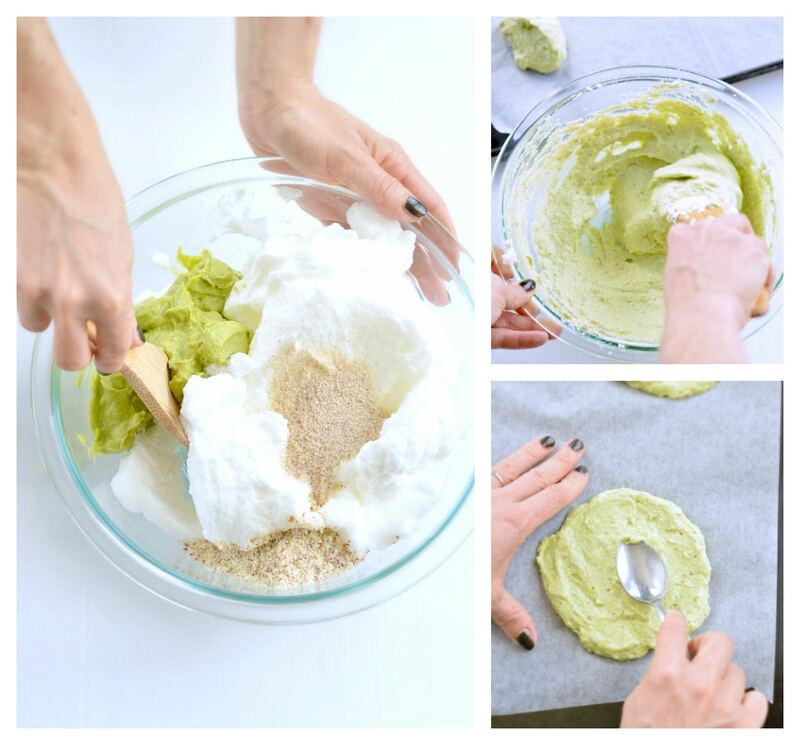 You want a creamy avocado puree with no lumps. Place the creamy avocado puree onto the fluffy egg white. Add the almond meal, baking soda and psyllium husk powder. Using a spatula or wooden spoon gently combine all the ingredients, rubbing the fluffy egg white with all the others ingredients. Don't go too fast to keep the mixture light and fluffy like for a souffle. Keep stirring until all the ingredients are coming together and no more lumps appears. You should obtain a fluffy batter with a pale green color. Spoon the batter onto the cookie rack covered with cooking paper. You must evenly split the batter into 4 buns. Use the back of your spoon to flatten the batter and shape regular round buns. It is optional but you can sprinkle some sesame seeds on top of each buns before baking. Usually 1/4 teaspoon per bun is enough. Bake at 320 F (160 C) for 15 minutes or until the sides are slightly golden and the center is set. Cool down on a rack for 10 minutes and use as regular hamburger buns. Nutrition panel is for one oopsie bun bread, no filling. Hi Carol, It really add fibre and texture but yes it will work, be a bit softer simply replace by same amount of almond meal. Enjoy Carole. xoxo. Carine. Hello! I am pretty sure the recipe will work with arrowroot flour instead! enjoy the recipe 🙂 xoxo Carine. I was amazed at your brilliant recipe! Here I have a question though! Could I substitute ground flax for psyllium husk? Hi Kelly, Thank you SO much for your lovely comment Kelly! I love any low carb bread recipe and the addition of avocado in this oopsie bread make it really delicious, you’ll love it. So yes you can use ground flax instead of psyllium husk same amount, it will work like magic! Enjoy the recipe and have a great day too. Don’t hesitate to browse my low carb recipe index for more delicious & easy low recipes. xoxo Carine. Hi Mariella, WOW two of my recipes 🙂 this is awesome ! Don’t worry about this recipe it is not eggy at all – I removed the egg yolk so the texture is light, fluffy and melt in your mouth. The regular low carb recipe use cream cheese – I used creamy ripe avocado for an healthier version which makes the bread super light like eating a ‘cloud’ 🙂 If you love low carb recipe give it a try it is positively suprising! Make sure you sue ripe avo though! See you soon on the blog ! Carine. Hi I’ve tried cloud bread with cream cheese before and now this recipe. No matter how thin i make them or how long I leave them in the oven they always stay moist on the inside. Is it supposed to be like tis or should the entire bread be dry? Yes, that is the texture of cloud bread. It is a moist bread that never become crispy. You can rewarm them into a toaster to give them a little crunch ! Enjoy the recipe 🙂 Carine. I’m confused about the avocado…so is it 2 avocados or 1/2 cup? “2 medium size avocado 1/2 cup creamy avocado puree, ripe” ? Hi, You need 1/2 cup of ripe avocado flesh which represent about 2 small avocado or 1 large avocado. I updated the recipe card for you, it is clearer now ! Enjoy the lovely low carb oopsie bread. XOXO Carine. Would gucamole work instead of plain avocado? No it wont ! Guacamole is a combo of avocado, tahini and sometime yogurt or cream. 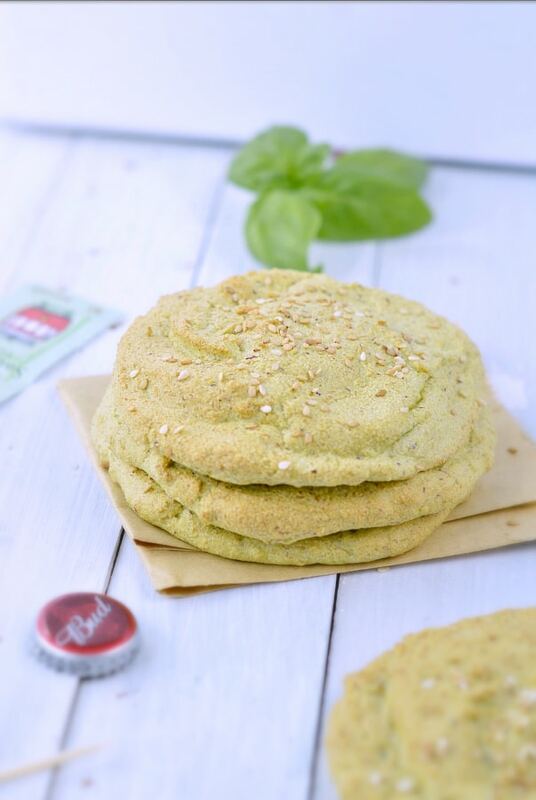 It won’t add the exact texture you need to make beautiful dairy free oopsie bread! Enjoy the low carb recipes on the blog. XOXO Carine. Not really my dear, this is a mostly egg based recipe. I tested aquafaba as my husband is vegan and it does not wrong in this special recipe. I am so sorry ! Enjoy the blog. XOXO Carine. This recipe is NOT vegan. You should remove that label immediately :(. Egg whites are an animal by-product. I know this not a vegan recipe – my husband is vegan so I know well he will NEVER eat eggs! I am having some issue with the plugin displaying labels on the blog. It will be fixed very soon. Thanks for your patience. My apologies. Carine. One bread contains 3.7 g carbs and 2.2 g fibre so net carb is 1.5 g per bun, no filling. The full nutrition panel is always provided after the recipe card, scroll down for all the info. Enjoy the recipe, XOXO Carine.